The Cubs front office struck out in a bold new direction on Thursday, letting go of both hitting coach John Mallee and third base coach Gary Jones, just days after parting ways with longtime pitching coach Chris Bosio. 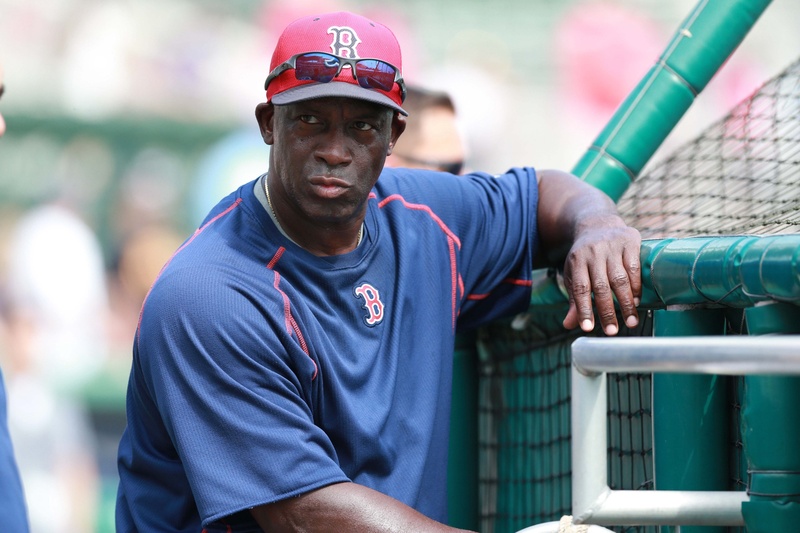 Taking Mallee and Jones’s places are Chili Davis and Brian Butterfield, respectively, both most recently with the Red Sox but finding themselves adrift in the wake of John Farrell’s firing. Additionally, Eric Hinske’s assistant hitting coach job will now be occupied by Andy Haines, the Southern Illinois-born catcher who had previously served as minor-league hitting coordinator. Additionally, the pitching coach spot vacated by Bosio was taken Thursday by former Rays pitching coach Jim Hickey. For a team only one year removed from a World Series championship, and only a week removed from a third consecutive NLCS appearance, these are radical changes, even in an October of radical coaching changes. The Nationals, Red Sox, and (most surprisingly) the Yankees all canned their managers following playoff exits, and, although the Cubs did not follow suit, the club has made the second-most surprising slate of changes. Earlier this week, I aimed at the Cubs’ bullpen issues, which might have led to Bosio’s departure, but the reasons behind replacing Mallee are a bit more difficult to ascertain without inside info. The Cubs failed to hit throughout the playoffs, averaging a bleak 2.2 runs and 10.4 strikeouts per game against Washington and Los Angeles. They did, however, score the fourth-most runs in the majors, on the back of good on-base and power numbers, and improved on their impressive 2016 scoring mark. Overall, the Cubs didn’t necessarily flounder at the plate, but major setbacks from Ben Zobrist, Addison Russell, and Kyle Schwarber plagued the offense in the first half. It’s possible that the front office, or the Cubs themselves, lost faith in Mallee’s ability to turn those players’ seasons around and develop further the young bats of Russell, Albert Almora, and Ian Happ. A new look at the problems in Jason Heyward’s swing and approach couldn’t hurt, either. The incoming Chili Davis has been well-regarded for his work in Boston with their young hitters over the past three seasons, even as some of those players (Mookie Betts, Xander Bogaerts, Jackie Bradley, Jr.) experienced somewhat disappointing 2017 seasons. With the departure of David Ortiz, the regression of Hanley Ramirez, and the emergence of Andrew Benintendi, Davis had quite a bit on his plate in the form of a morphing Red Sox offense, making it difficult to assess his performance. The Red Sox did hit an AL-low number of homers, and the Cubs’ sluggers will be quite different from the Red Sox’s hitters. Davis fell victim to Dave Dombrowski’s desire to fire John Farrell, and he gets a fresh chance with a sturdy Cubs offense. Butterfield’s installation as third base coach is less important than his aptitude as an infield coach, as the former Boston coach gained a reputation for being one of the best infield instructors in the majors. While the Cubs sport one of the best defensive infields in the game, there was some slight concern that the 2017 version of the team took a step back defensively, and Butterfield might help to mitigate some of those concerns. Which, I suppose, brings us to the pitching coach. While the other two major changes to the staff seem to be preventative and anticipatory, the decision to let Bosio go and bring in a new pitching coach is more of a philosophical pivot. In hiring Hickey, they are bringing aboard one of the better pitching coaches in the game, but one who has a significantly different outlook on pitching than Bosio. Almost all of Hickey’s Rays clubs (and his Astros teams prior to that) have had exceptional pitching, and his reputation is that of a good developer of young arms. With Tampa Bay, he exhibited that in full force, while also helping many relievers regain their former success. With the Cubs, he would be tasked with helping to right Justin Wilson, whose downfall after coming to Chicago from Detroit was one of Bosio’s rare misses. Hector Rondon, Carl Edwards, Jr., and Mike Montgomery could also benefit from a new instructor, as the bullpen seeks to retain a high strikeout rate while diminishing their unsightly walk numbers. Hickey also has ties with Alex Cobb, one of the more attractive starters on the free agent market. For a fairly comprehensive assessment of Hickey’s tenure in Florida, I recommend this piece, detailing the ways in which Hickey innovated on a large scale (changeups!) and worked with individual pitchers to best use their strengths. The 2018 Cubs will look different than the 2017 Cubs—or, at least, more different than the 2017 club looked from the 2016 version. There’s a bullpen to be strengthened, two starting pitcher spots to fill, pitching depth to be added across the board. There’s a vacancy in the leadoff spot, and an outfield to be shuffled and matched up accordingly. There are trades to be made, and free agents to be signed. The first step, however, has been a nearly wholesale change in the team’s coaching staff, in an effort to re-energize some of the Cubs’ floundering hitters while indicating an organizational shift in thinking regarding pitching. More changes are on the horizon.